Training programs on essential safety, risk and wellness issues for your faculty and staff, including overnight care of students. Wellness and Safety Curricula on over fifteen top issues facing students of all ages. Curricula are inclusive of students representing diverse cultures, races, religions, sexual orientations, and genders. 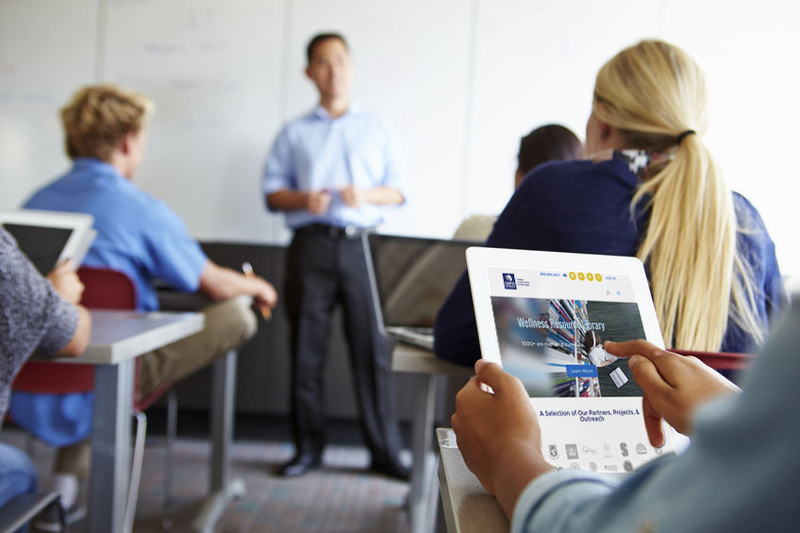 E-Classrooms packed with web-seminars featuring nationally known experts and compelling public speakers. Report form templates for proper documentation of student misconduct. 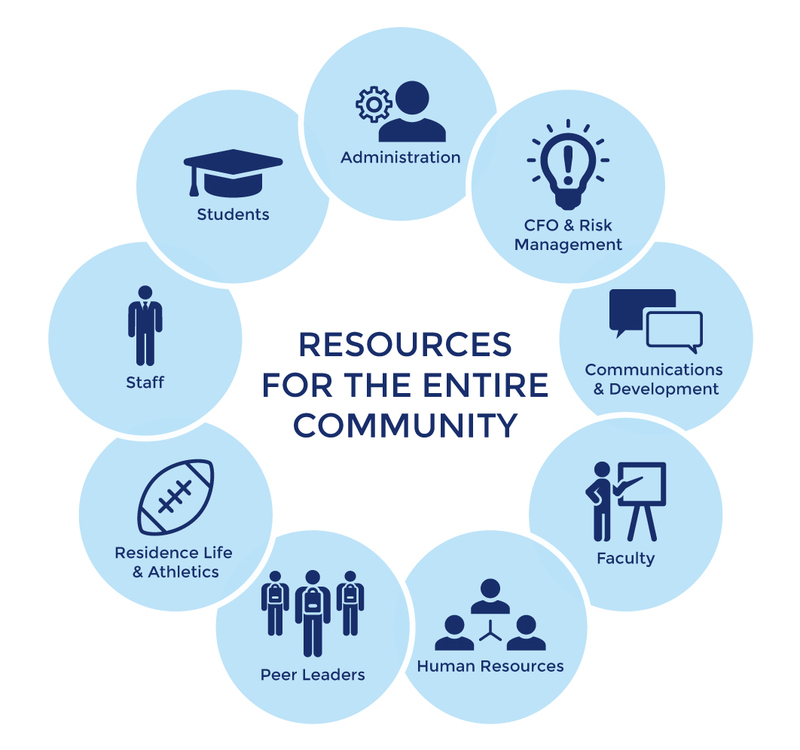 The Administrative Support and Training Center with policy updates, online recorded seminars, student handbook information, resources for training faculty and staff, disciplinary issues, and risk management for residential campuses. Survey Instruments to assess campus safety, student wellness and risk issues, with a focus on incidence and bystander behavior. Policy Development Resources including risk management assessment tools, sample policy manuals, streaming online videos for training disciplinary boards, training manuals, and much more. Members Have Unlimited Access to the COS Library of Webinars and e-Classrooms. All COS Web-Seminars feature an engaging, informative, interactive 60 to 90 minute experience for participants. Participants hear from leading authors, educators, researchers, psychologists, and other national experts. Each Web-Seminar utilizes case studies, quizzes, polls and other dynamic participation segments. The Cyber-Smarts e-Learning Center: Training on appropriate use of technology and social media for each member of your community. Parent-Connect and Faculty-Connect: A series of informative sessions for parents on current student wellness and risk issues. Seminars feature panels of experts, psychologists, educators, survivors, doctors, attorneys, and nationally known authors. Parent-Connect enables parents not only to acquire the most current information about an issue, but how to better address that topic with their child including recognizing warning signs, and options for treatment. Response Training Series: A series of sessions geared toward preparing school professionals to respond to a variety of incidents, from sexual misconduct and sexual harassment to suicide attempts and students under the influence. Peer-Connect: This eight topic fall semester series teaches peer leadership skills; sexual harassment; binge drinking; drugs and addictions; respectful relationships; depression and suicide; eating disorders and body image; diversity and difference; and stress/anxiety/sleeping. Substance Use e-Learning Center: This series addresses the impact of drugs on the adolescent brain, empowers better bystander behavior from peers and inspires improvement in choices made by teens. This series provides insights, insider tips, smart strategies, and much more.